Dissecting OV's 103, 104 and 105. You know, it's really weird to see the decommissioned orbiters. You think, man, these are space vehicles, they flew into space multiple times, hell Discovery's total time in space is a year! Yet now they just sit on a runway or in a room, stripped of all the gear that made them spaceships. They've been hollowed out and will be replaced with real looking but non functional gear. People will come and gawk and then forget, a few will marvel and everyone will file out of the room. Seems like a sad epithet to me, but that just might be the romance talking. i went through the shuttle exhibit when i was 10 or so at the smithsonian. i absolutely didn't forget. it remains one of the coolest things i've seen. Oh yeah, here's some great photos of Atlantis's interior, before they shut it down for good. I had no idea until this moment that NASA used velcro throughout the Shuttles. NASA makes significant use of Velcro. Each space shuttle has ten thousand inches of a special Velcro made of Teflon loops, polyester hooks, and glass backing. 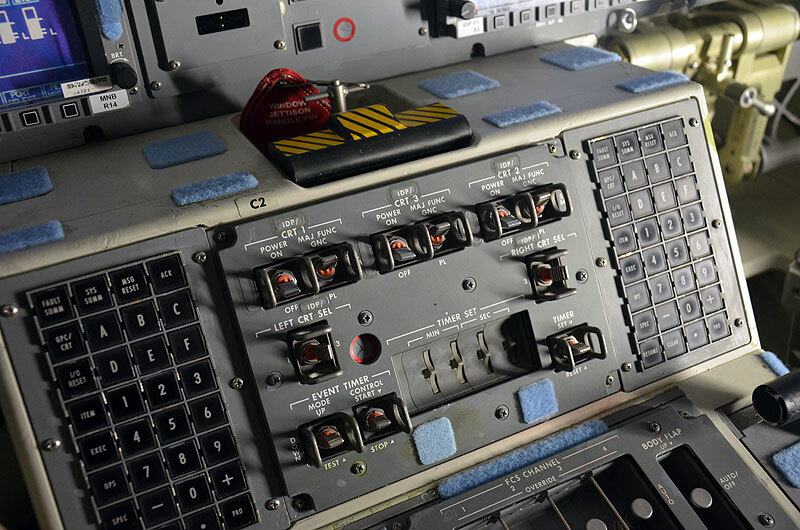 Velcro is used everywhere, from the astronauts' suits, to anchoring equipment. In the near weightless conditions in orbit, Velcro is used to temporarily hold objects and keep them from floating away. A Velcro patch is used inside astronauts' helmets where it serves as a nose scratcher. During mealtimes astronauts use trays that attach to their thighs using spring and Velcro fasteners. yes! i love the velcro thing. some solutions just work. Yeah, they started using it with Apollo I think, then there was the Apollo 1 fire, where velcro in 100% oxygen was just wee bit flammable. I think they stopped using it for later Apollo flights and/or developed that Teflon version for use to reduce the flammability. I thought Velcro was one of the things that was invented by the space program? Nope and neither was Tang. Next you're going to tell me astronauts didn't really eat SpaceFoodSticks! Well no, not always. It depended on the supply of fresh Martians.